I was so pleased to receive an email from Egmont asking if we'd like to review their Mr Tumble's Big Book of Counting. C loves Cbeebies and anything with Justin Fletcher is a huge hit. I was really happy to see that it is a hardbacked book. C has a habit of being a little rough with his books and he always puts them in his mouth. 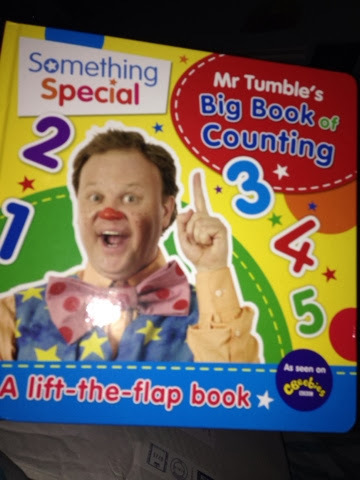 When he noticed Mr Tumble on the front, a huge smile crept upon his face. He recognised him instantly! We made our way through the book and C was a little excited and kept trying to turn the pages before we'd even finished the one that we were on! I love the little rhymes as they keep C entertained. I did find on a few occasions that he tried to copy the sound of the number after I said it which was just what we were aiming for. 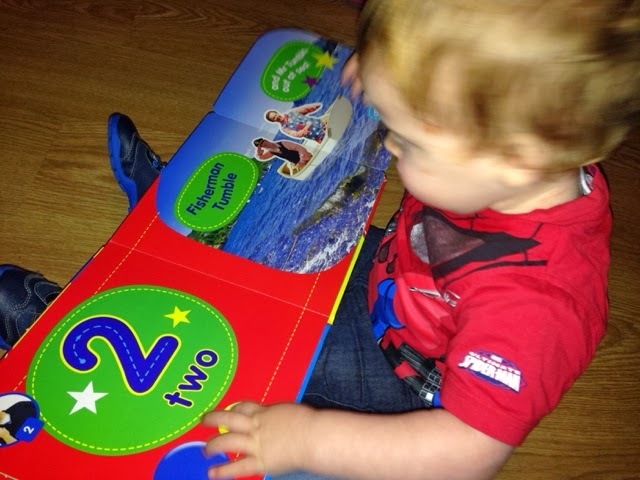 This is a lift-the-flap book and C was able to lift these himself. He loved seeing all the characters that he knew from the TV show such as Grandad Tumble and Aunt Polly. This is definitely a great way to teach children to count to five as they can associate it with characters that they're used to seeing. There are also questions such as "Can you count 1?" to encourage your child to repeat it back to you. This is definitely going to be one of our favourites and I know that C will be counting to five with the help of this book.